The prince here is shown in a royal setting with his troupe of support staff. The image was probably clicked to show the grandeur of the ruling king and his son and establish them as an authority. 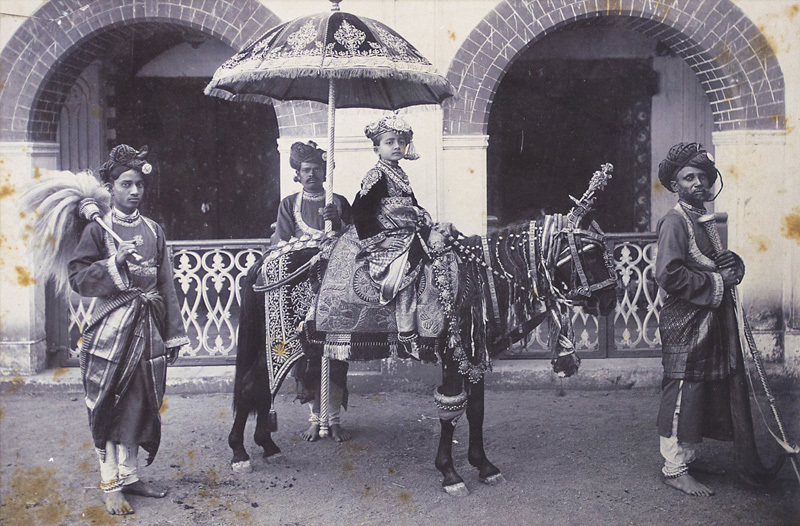 We can see that the horse has also been decorated with jewels and servants have a fly-wisk and a parasol to shield the prince from the Indian heat.